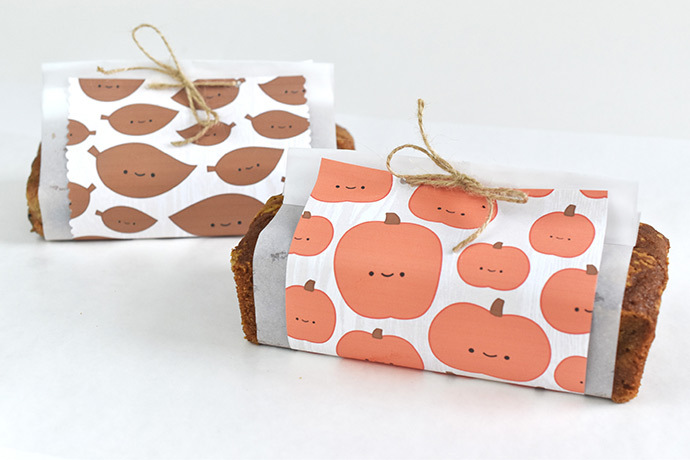 One of the best parts of the autumn season is warm bread in yummy seasonal flavors. 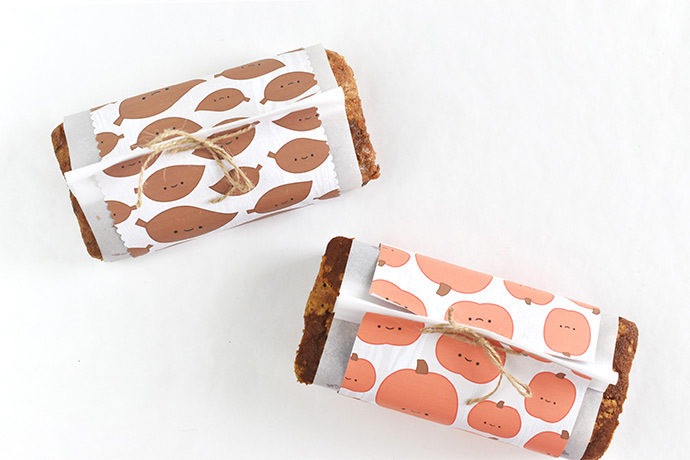 And in addition to eating that bread, it’s also fun to give little loaves to friends and neighbors, especially when those loaves are wrapped up in super cute decorative wraps! 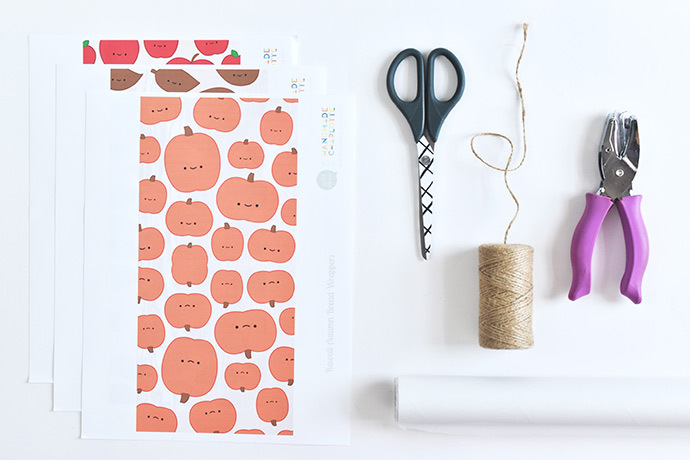 These printable wraps feature apples for on apple bread, pumpkins for on pumpkin bread (we recommend Whole Wheat Pumpkin Chocolate Chip Bread! 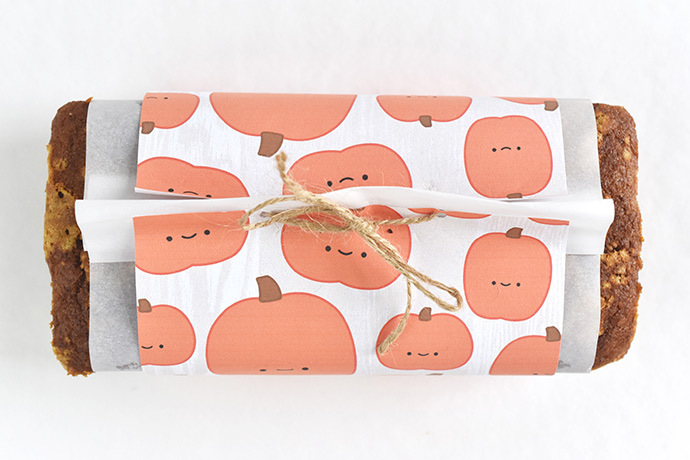 ), and leaves for any other favorite autumn recipe. 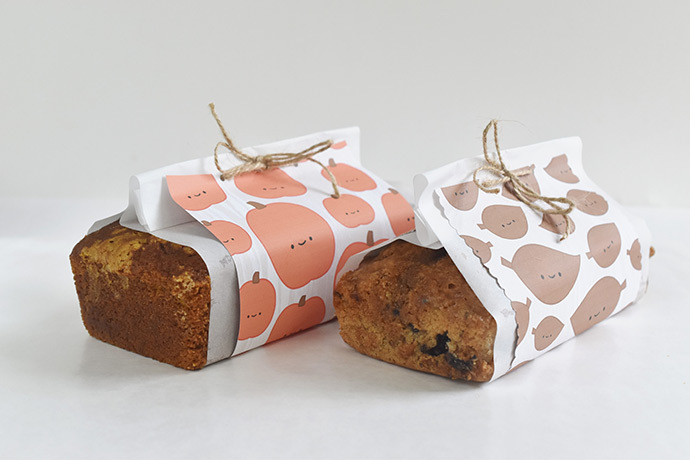 People always love food gifts, no matter how they’re presented, but making them look special is such a nice touch. 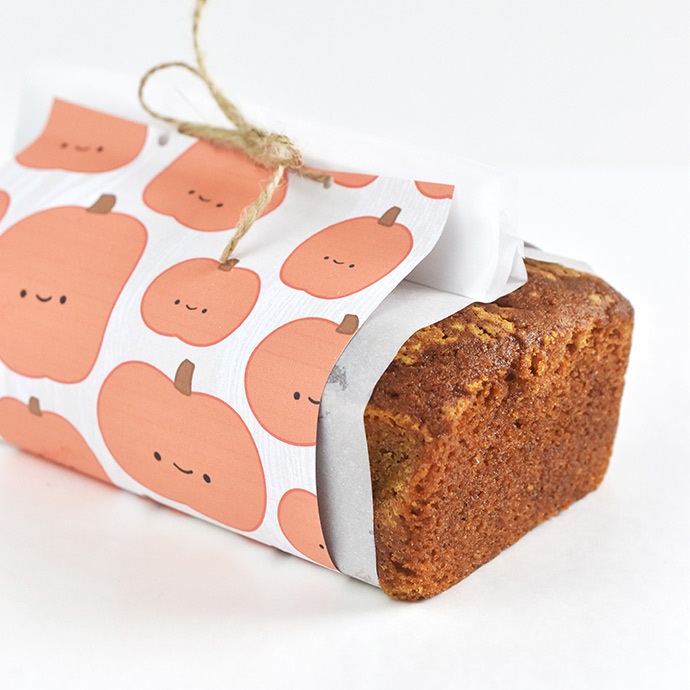 Our kawaii autumn bread wrappers work best on small (and not too tall!) loaves of bread, such as quick breads. 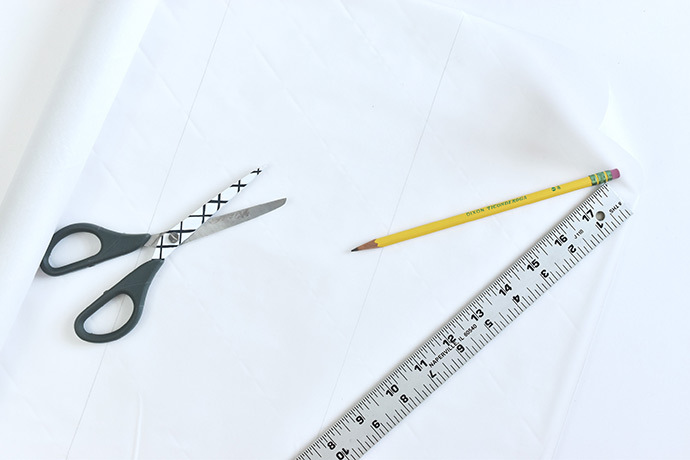 If you want to use them on larger loaves, you’ll need to enlarge the file onto US legal size paper (8-1/2 x 14 inches). Now, grab a favorite recipe or two, and get ready to make something sweet for the people in your life! 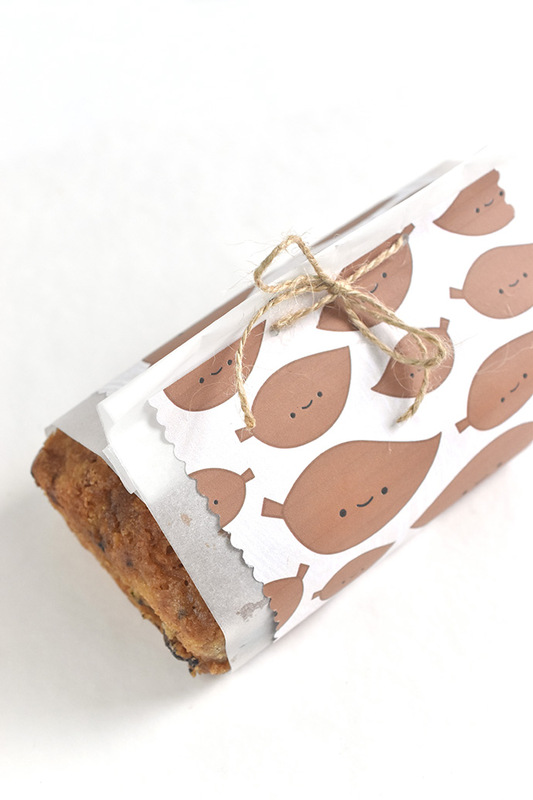 Choose which bread wrapper design(s) you want and print as many as you need on standard paper. Be sure to print the page at 100%. Cut around the printed area in the center. 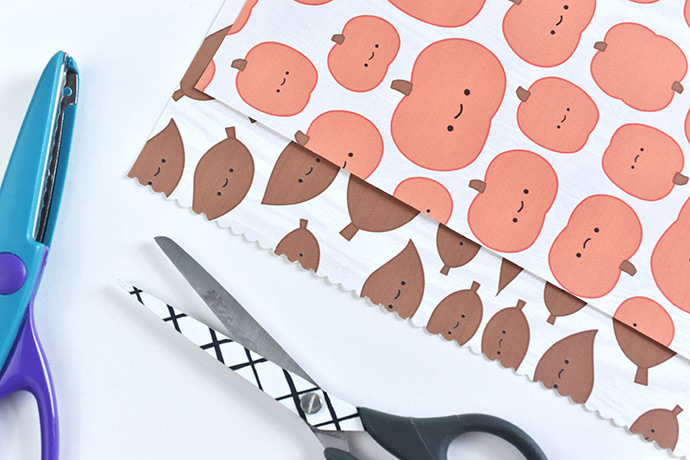 You can use regular scissors or decorative edge scissors. 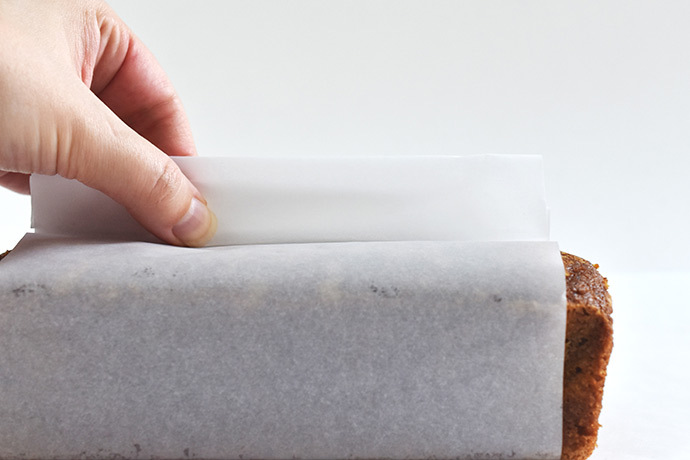 Measure and cut a 6-inch wide strip of parchment paper for each loaf of bread. This prevents oils in the bread from soaking through the printed wrapper. It also adds an extra layer of decoration. Place a loaf of bread in the center of the parchment paper. The bread should hang over the sides just a bit. If your bread isn’t as wide, you may want to trim both the parchment and the bread wrapper. Bring the two ends of the parchment together over the bread. Fold them down a few times so the fold is close to the top of the loaf. Set the wrapped bread on top of the wrong side of a printed wrapper and bring the ends together, just like you did with the parchment. Depending on the size of your bread loaf, the outer wrapper will probably be a little shorter than the parchment. Holding all the layers together, punch two holes in the top of the wrappers. 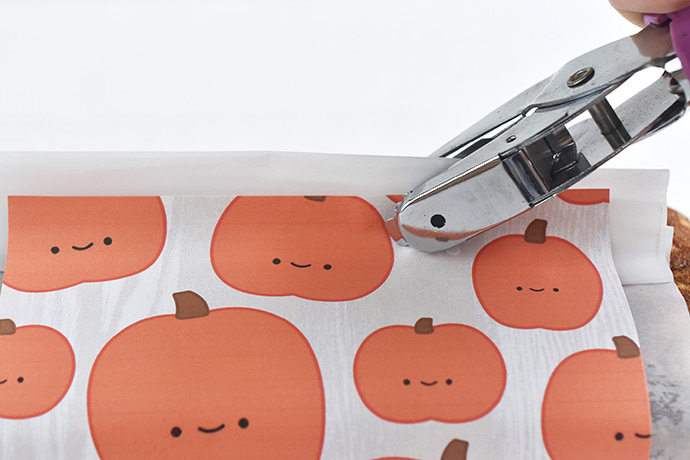 A smaller hole punch makes this a little easier if the wrapping is tight. 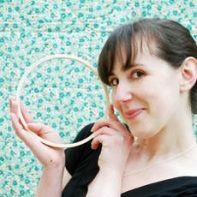 Thread a piece of twine or ribbon through the holes and tie a bow to hold it all together. Now you can give this yummy gift to someone you love! 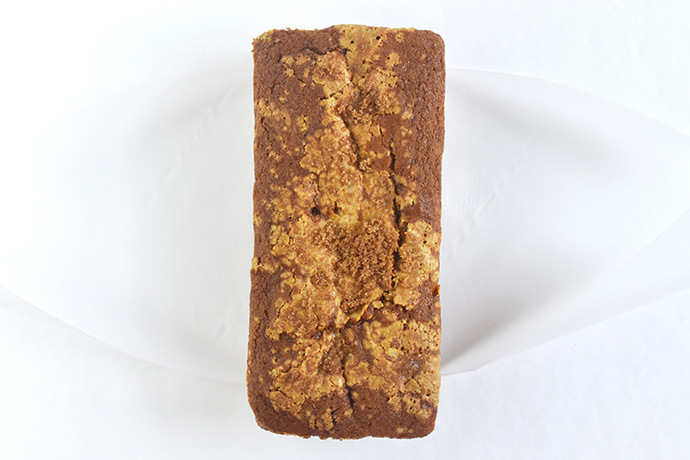 Bake up some apple bread for all the teachers in your life. 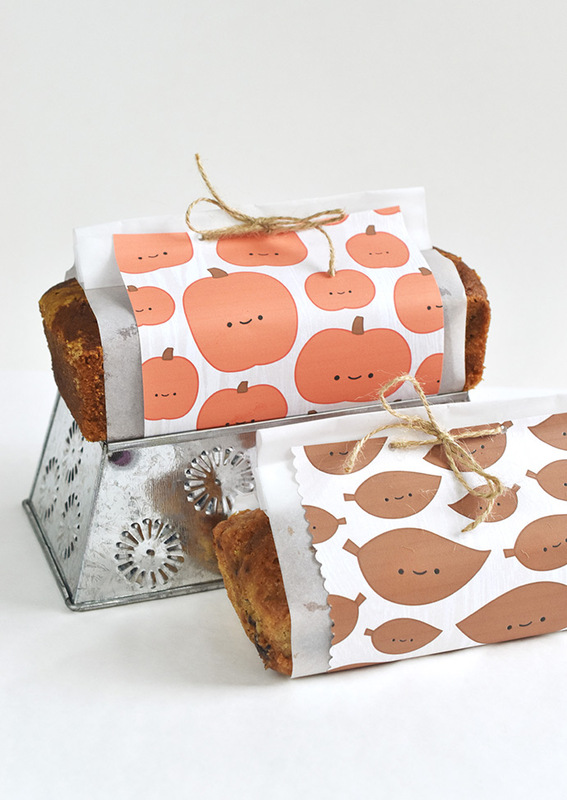 Or make a bunch of flavors of bread to show your neighbors how thankful you are for them! 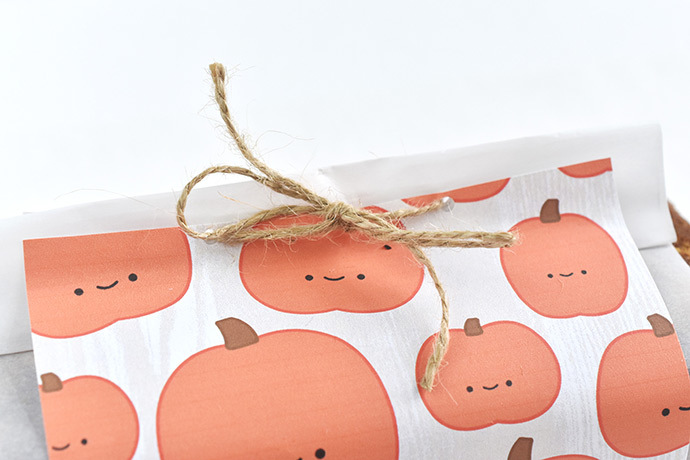 You could also use these to wrap up other small gifts, such as chocolate bars, soaps, boxes of tea, and more. Just trim them to the size you need! 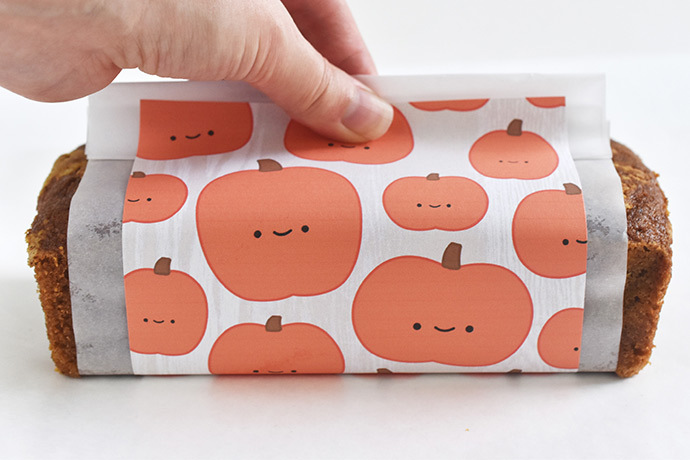 These are so fun and perfect for neighbor gifts!